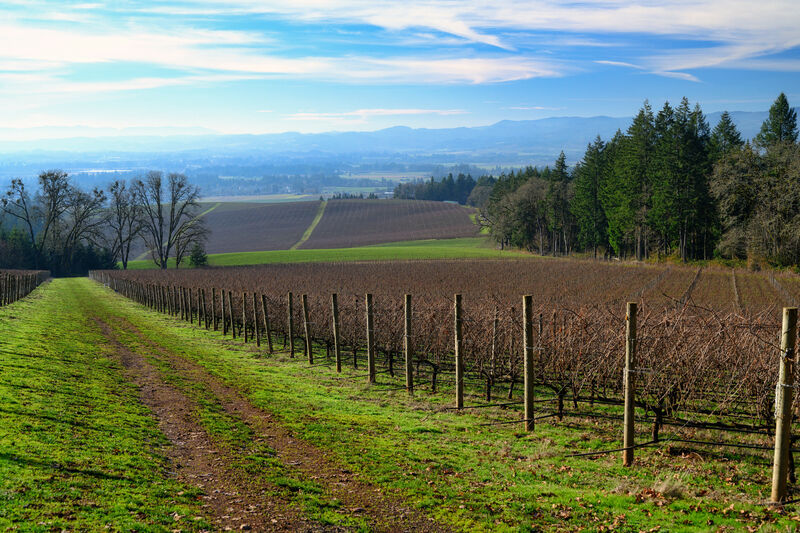 Wine Country Weekend: Newberg or McMinnville? McMinnville and Newberg regularly vie for the title of top wine-country town. 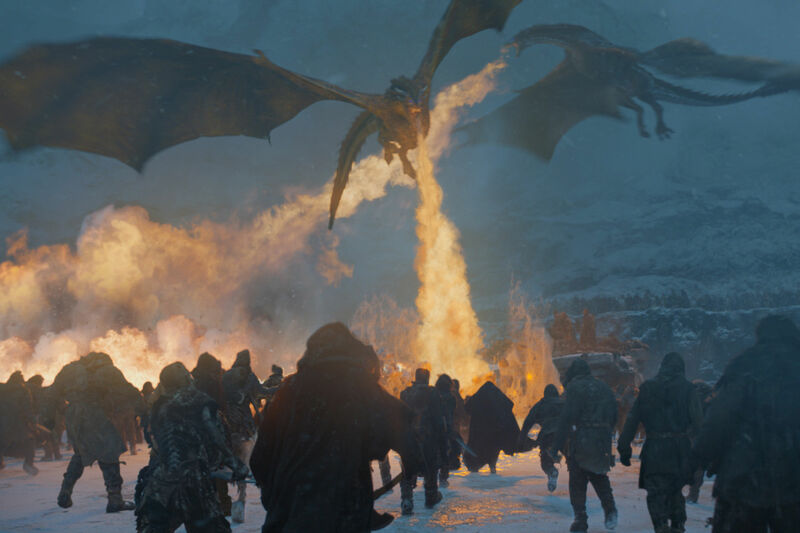 We turn the spotlight on their hottest new spots to help you decide who deserves the honor. Oregon wine country has come a long way since its stormy beginning in the 1950s (see “Perfect Storm,”). 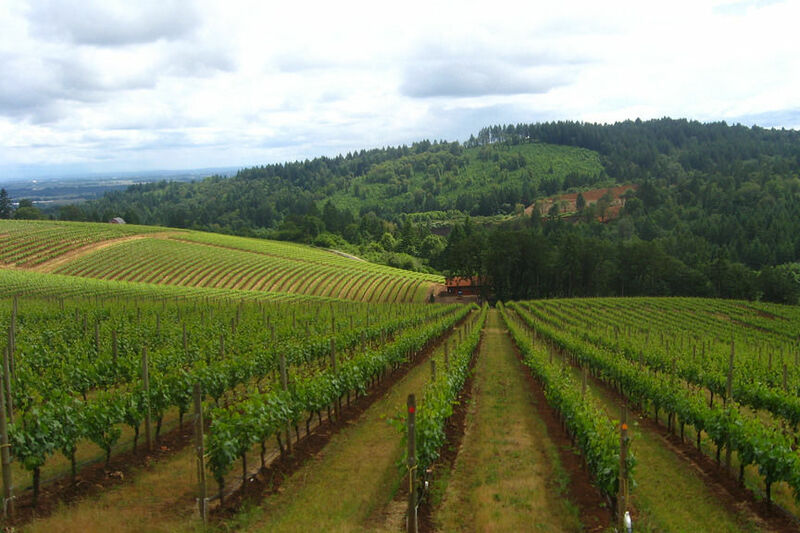 Today the Willamette Valley boasts nearly 300 wineries, many of them scattered throughout Yamhill County. 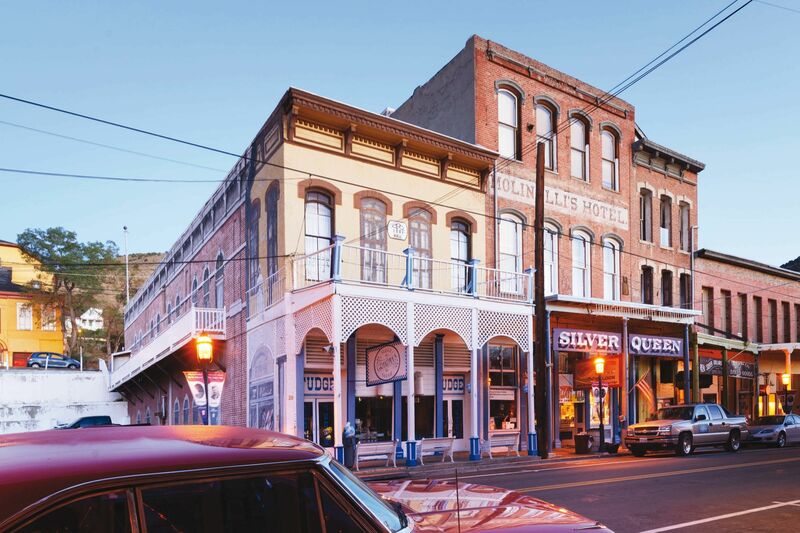 A couple of years ago, the Allison Inn seemed like the second coming, but now a number of hotels, restaurants, and shops are adding quality—beyond the wine—to the valley. Along Yamhill County’s main artery, Highway 99, two towns have emerged as titans of wine tourism: Newberg (and its satellite, Dundee) and McMinnville. While McMinnville typically has shined brightest in size—and in scope of eating and shopping options—Newberg and Dundee have boasted the lion’s share of wineries and tasting rooms. Recent additions to both towns’ arsenal of attractions, though, have evened the field. We lay out the best of what’s new in each place, from the ’Berg’s tasty new eatery, Recipe, to Mac’s punk-chic Remy Wines. As for crowning one town wine-country king, well, we’ll leave that to you. DO Funky N Mississippi Avenue has nothing on McMinnville’s 3rd Street, where a host of boutiques tempt would-be wine-tasters away from their glasses. 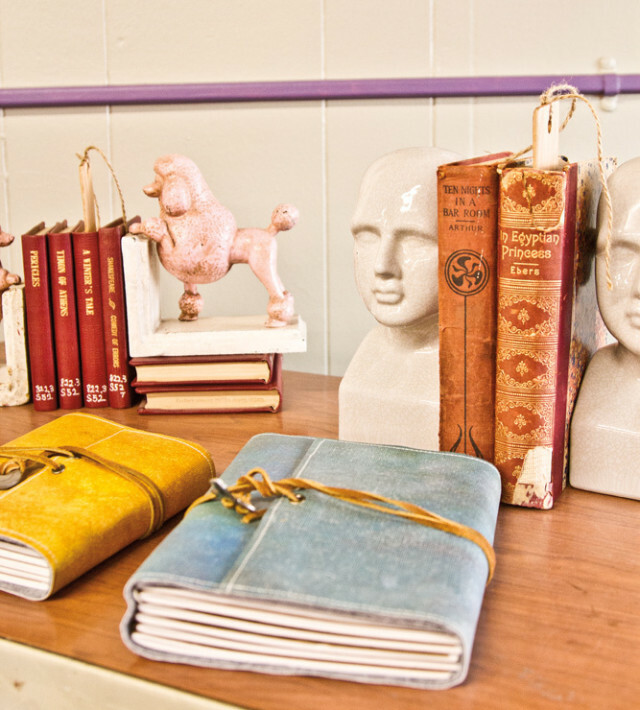 Among the newcomers: Yamhill Valley Dry Goods, where chic outdoor brands like Lolë and Patagonia mingle with boots, sandals, belts, and bags; Atlas Decor, a mere months-old home and accessory store that sells work from small designers—many of them from the Northwest; and Rag & Bones, a new, mostly man-centric vintage store with more Pendleton on one rack than Portland’s Animal Traffic has in its entire store. The Evergreen Space and Aviation museum, home to Howard Hughes’s legendary Spruce Goose (the largest wooden airplane ever built), has long been a popular spot for aeronautics buffs. But the debut of the museum’s Wings and Waves Waterpark last summer, complete with 10 waterslides, a wave pool, and an education center, turned it into a hit for the masses. Rumor has it that in 2014 they’ll be revealing a restaurant and lodge, too—sounds like Olympia’s current aquatic adventure king, Great Wolf, is about to get some competition. EAT From the family behind longtime McMinnville fixture Nick’s Italian Café comes the year-old salami shop Fino in Fondo (“until the end”). Tucked into a hard-to-find warehouse on a dead-end street, Fino’s pocket-size tasting room doles out slices of calabrese, sopressata, pancetta, and more. We dare you to leave empty-handed. Pork-passionate Eric Bechard and Emily Howard—the duo behind McMinnville’s renowned Thistle—have been busy. In March 2011, the pair launched (and later sold their stake in) Community Plate, a priced-for-locals breakfast and lunch spot peddling simple, locally sourced dishes like heritage pork hash and winter squash. And this spring they debuted Tacos de Los Muertos, a late-night taco spot serving pork, tongue, and fish tacos in house-made tortillas in a former tattoo parlor. SIP Family-owned Anthony Dell Cellars has been producing wine since 2002, but just opened a tiny tasting room below the 3rd Street Flats in February. If you’re staying at the Flats, your visit comes with a flight of Anthony Dell’s wines. 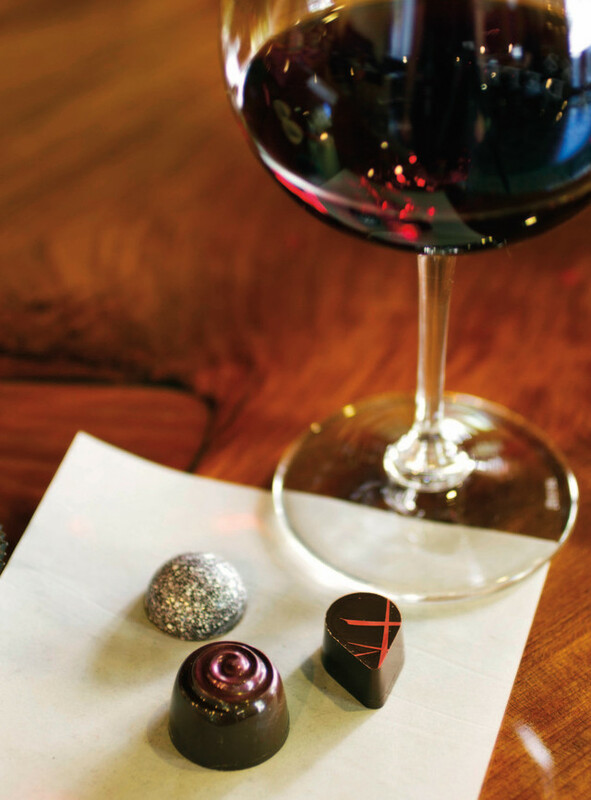 But if not, it’s still worth stopping in to pair pinots with handcrafted treats like habanero dark-chocolate truffles from new Tamami Chocolates. When you tire of tasting pinot—c’est possible?—head to McMinnville’s industrial district. Here, just down the road from pinot pioneer Eyrie, Remy Wines’ punk-chic new tasting room and bar, baR, pours single-vineyard old-world Italian-style reds like barbera and sangiovese. And be sure to ask owner and winemaker Remy Drabkin how her Three Wives label got its name—just order a glass first. It’s quite a story. EAT Inside a quaint, restored downtown Victorian home, Recipe is a locavore’s French-tinged fantasy. Dishes feature produce grown in the restaurant’s own garden (30 varietals of heirloom tomato! ), and the flourish of former Farm to Fork chef Paul Bachand. 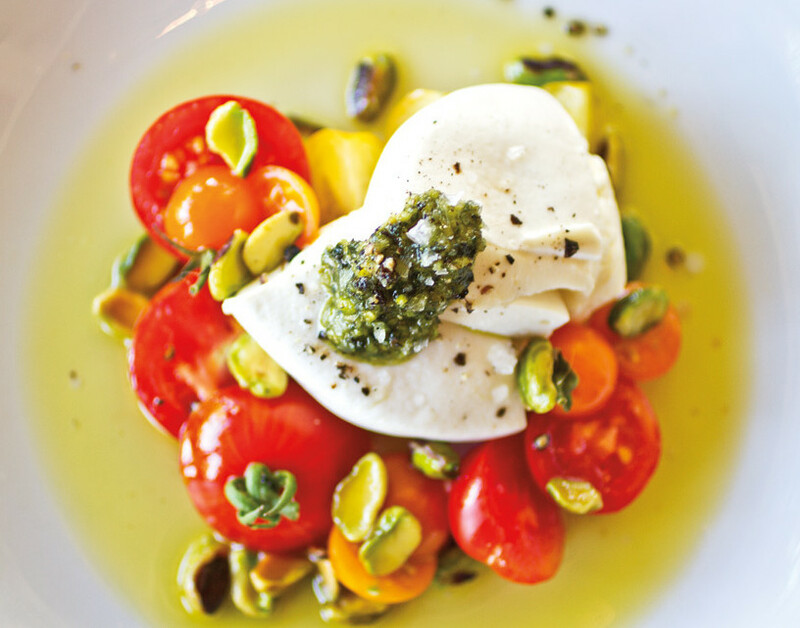 Not to be missed: the house-made burrata, a carefully crafted homemade mozzarella enveloping a mascarpone-like creamy middle. 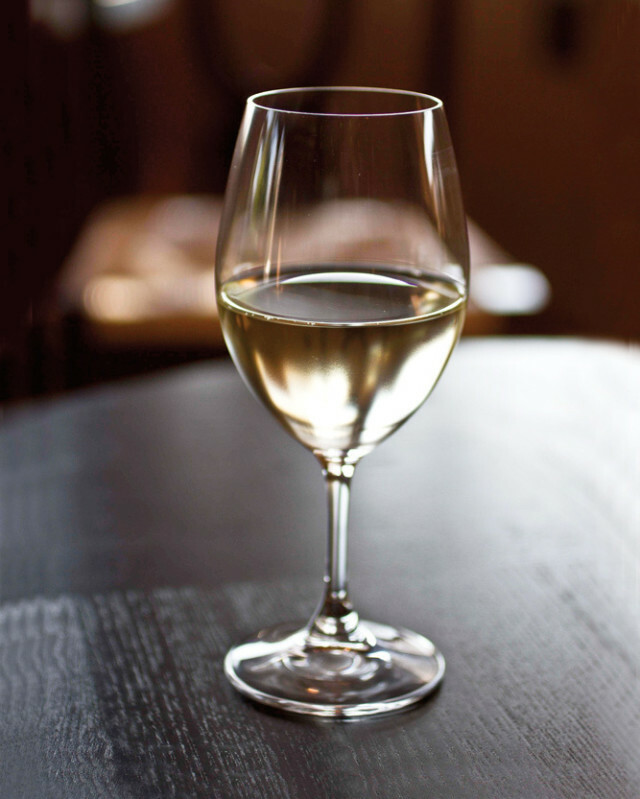 Pair with one of the many glass pours drawn from the Willamette Valley. Or walk two blocks to Anam Cara Cellars for dessert in a glass. Eat (and drink and play) like a local at Dundee’s year-and-a-half-old Red Hills Market, where hazelnut shells decorate the planters and regional picnic supplies such as Dundee’s Briar Rose Creamery cheese, McMinnville’s Fino in Fondo salami, and 30 Oregon wines line the shelves. 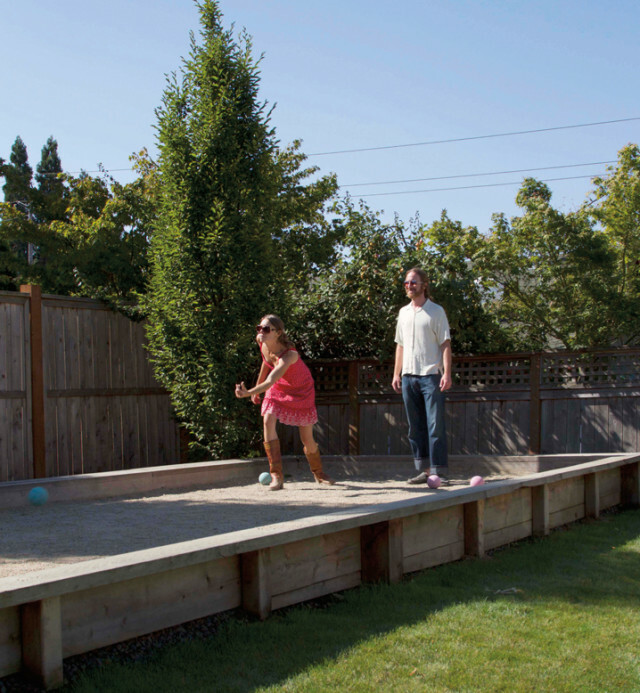 It’s the perfect place to pack a picnic for your day, or to cap it off with a piping hot wood-fired pizza, a game of bocce out back, and a pint of Oregon beer, served in a ceramic stein handcrafted by Bradley Speer, a local ... naturally. Former Sel Gris chef Daniel Mondok’s sleek steel, stone, and glass Paulée grabbed headlines with its May debut. While its ingredients are sourced locally, its James Beard–nominated chef’s menu roves wildly across the globe, nesting tartares alongside dishes like Israeli couscous mac and cheese. But the biggest splash may well be the all-raw menu. SIP Decked out in midcentury mod furniture, with Jackson Brown B-sides playing on the turntable, Longplay Wine’s downtown tasting room looks more like a vintage store than a sipping space. But its single-vineyard wines are modern revelations: five of its 2008 and 2009 pinots and chardonnays earned 90 points or more from Wine Spectator and Wine Enthusiast. Sprinkled atop the Dundee Hills like lavish toppings on a delicious landscape of vineyards lolling toward fir-rich forested slopes, Alexana Winery, Thistle Wines, and Bella Vida Vineyard all boast new tasting rooms with spacious sunny decks and spectacular views. 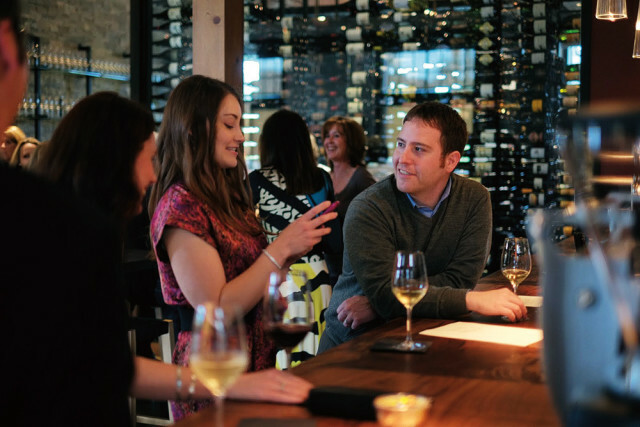 Play bocce at Bella Vida, sip a 92-point pinot at Thistle, and up the feel-good factor at Alexana, where your vino is poured inside a LEED gold–certified tasting room. Set almost equidistant from Newberg (20 minutes) and McMinnville (15 minutes), Carlton plays peacemaker, but this quiet little burg of 2,000 has plenty of new energy, too: K&M Wines opened a tasting room and art space downtown in November, Carlton Bakery debuted in the former Filling Station space this spring, and a super-mod, super-chic four-bedroom vacation rental, Carlton Gates, also recently appeared on the scene. 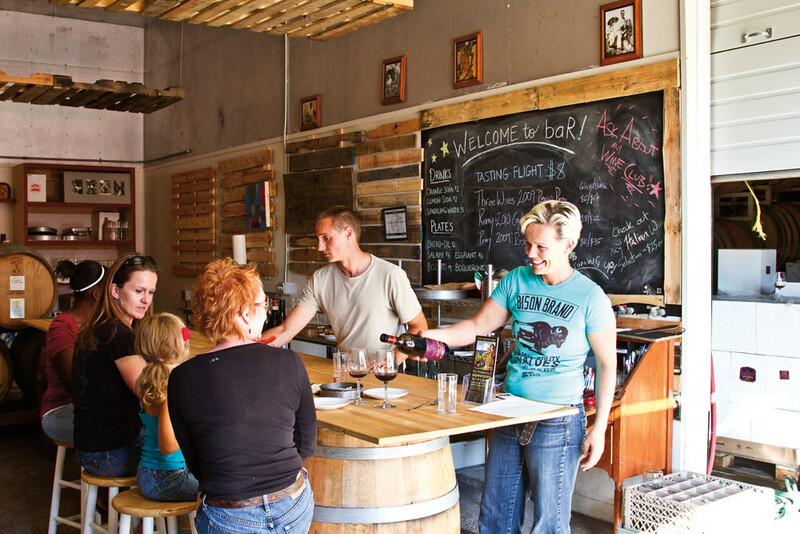 The Van Duzer Corridor Is Oregon's Newest Wine Region. Was the Drama Worth It?